Everything you need to know about PlayerUnknown’s Battlegrounds. PlayerUnknown’s Battlegrounds is the multiplayer phenomenon that came out of nowhere and took the entire world by storm. 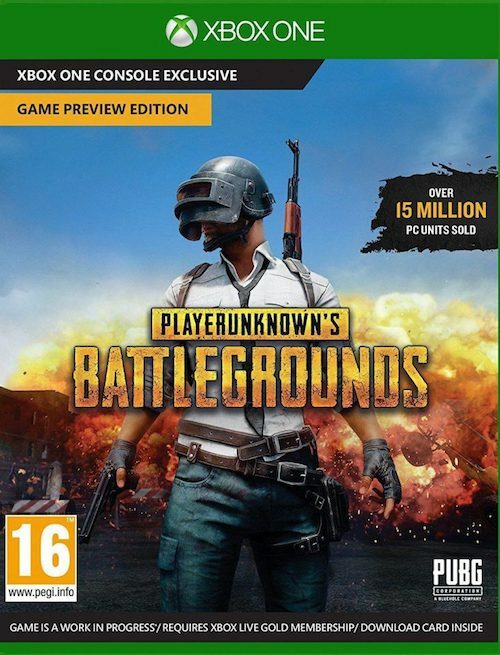 The result of a very long road by designer Brendan “PlayerUnknown” Greene, the Battle Royale title is an online only shooter which plays significantly differently from the modern conventions, pitting the players and 99 others in a desperate bid for survival as they scour the massive maps for weapons to defend themselves, hoping to win and be the last man standing. The DNA of PlayerUnknown’s Battlegrounds can be traced all the way back to 2013, with a custom mod for DayZ (which itself is a mod of ARMA 2). Inspired heavily by media like Battle Royale, the 2000 Japanese film where a high school class is forced into a life or death game, Greene would create DayZ: Battle Royale. Playing around with this mod is where Greene would begin to learn programming, and several elements of PUBG would first take shape, including the massive maps, random item placement and the circular safe zone which forces players into closer and closer quarters as the game goes on. Originally Greene intended to make the safe zone square, but found it easier to code a circular zone. One element that changed during this time was exactly how the weapons were distributed, including a massive central stockpile. Greene would eventually decide it would be better to spread them out to give players a better chance. DayZ would eventually become its own title, leaving Greene to move development to ARMA 3 since interest died in the original mod. Plans would change when Greene was hired to consult with Sony Online Entertainment on H1Z1. He would work on these titles in tandem, and would be free from his consulting contract around February 2016. Around this time, Greene would be approached by Chang-han Kim, president of a South Korean company then known as Bluehole Ginno Games. Kim was hoping to create a Battle Royale title with an early access model to fund development, and he wanted it done fast. Greene travelled to Bluehole’s offices in Seoul to discuss the project. Greene would quickly become Creative Director with Bluehole and moved to the country to work on the title. 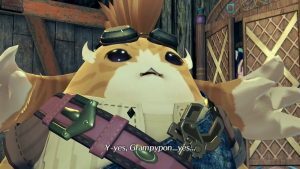 Between the beginning of development and the height of the game’s popularity in June 2017, the team had grown drastically to make work on the game go quicker. The title became something of a passion project for the entire team, with many members voluntarily putting in overtime to better the game. While PUBG was the culmination of a lot of the design decisions Greene had come up with in earlier projects, there were some new hurdles to jump. 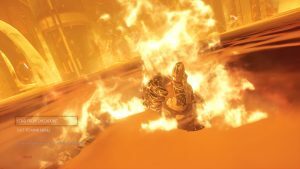 Use of Unreal Engine 4 helped speed up development, though the engine did take some tweaking to run the massive maps the game demanded. The airplane free fall was introduced to add an additional wrinkle to the game where players could decide whether they wanted to brave it out with the crowd and stay near the action or play it safer and see what loot they could find relatively uncontested, but having to rush toward the centre before they got eliminated. The game went through early access with a single map, an island with a variety of locations. The sheer size of the map is part of Greene’s design, as it’s so big that it’s hard to memorize and players are unlikely to run into repeat situations often. Greene would state that while the island captures their gameplay ideas perfectly, he didn’t like how it felt disjointed, and would with the team seek to create more unified maps in the future. 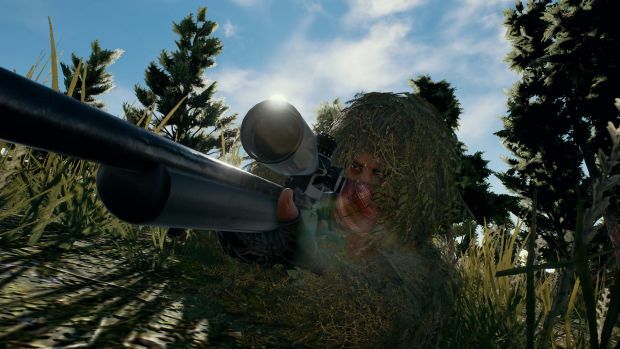 As he himself got his start with mods, Green hopes to make mods a part of the PUBG scene as the game is solidified, so he can “find the next PlayerUnknown”. Community is a huge part of the success of the game already, with elements such as Twitch integration put into place to help foster an eventual e-Sports scene. Streaming has influenced the game already, as players would universally agree to special rulesets to create unique, unofficial game types. One such type has already inspired an eventual official “Zombie Mode” where four players go up against melee only zombies. 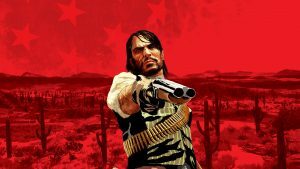 Early access for the game would last between March 23 to the eventual PC 1.0 release of December 20, 2017, which also introduced a new Desert map. The story doesn’t end there, as not only is the PC version still under active development, but Bluehole and the team, along with Spanish developer Anticto, are working on the Xbox One release of the game simultaneously. Under the Xbox Game Preview program, the first console port of the game would launch on December 12, 2017 digitally, just a few weeks before the 1.0 PC version would launch. Microsoft’s involvement with the port would allow them access to technology from Microsoft’s wider pool of studios, which allowed them to improve not only the console port, but the PC version as well. Again, this is an ongoing story. 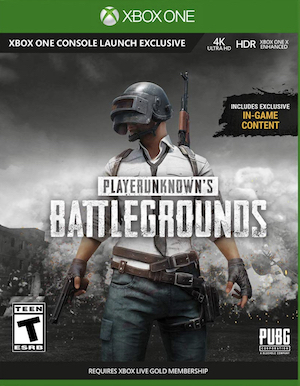 PUBG continues to be in active development and will continue to evolve and be introduced to new markets, with the suggestion of ports to other consoles and regions. 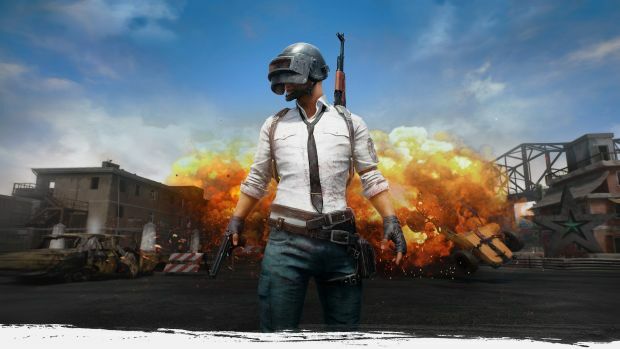 Bluehole has a partnership with Tencent to make a version of the game for the largely untapped China market, and Greene himself has said that Microsoft is not blocking eventual ports to other systems such as the PlayStation 4. There is no story in the traditional sense in PlayerUnknown’s Battlegrounds at all, but according to Greene during a PAX Australia panel, there is a backstory to the game. However, it seems unlikely that said backstory will ever be explored. Greene would later state that while he had the idea, that they had no time to work on implementing such a thing and to not expect a single player mode of any kind to come. The concept for PlayerUnknown’s Battlegrounds is a simple one. Players drop from an airplane onto a map, as of now on the PC version, either the Island or the Desert, and need to scavenge and gather weapons and equipment to defend themselves against 99 other players who all want to be the last one standing. Weapons in the game are largely close to mid range weapons, though longer range rifles do exist if players are lucky enough to find them. Players are fragile on their own, falling to just a couple of bullets, so it’s encouraged for the player to locate body armour and health restoring items such as energy drinks or bandages. Regardless of which tactics the player chooses to employ, bold or cautious, all players are beholden to a gameplay zone, which restricts the available play space for all players in the match to an increasingly small radius and will slowly kill them if caught outside. The play space helps to ensure that the players aren’t wandering aimlessly with nothing to do, but also keeping the tension of the game as players are forced towards tighter quarters with other hostile players. Players can occasionally employ the use of vehicles, which can range in size to allow teams to all catch the same ride. The double edged sword of the vehicles is that while they allow far faster traversal of the massive maps, they’re also loud and will draw attention to the player, which isn’t frequently advisable.